In the run-up to Ireland’s general election next spring, one of the biggest issues is quickly becoming whether the country will vote to repeal the Eighth Amendment, which places a near-total ban on abortion. 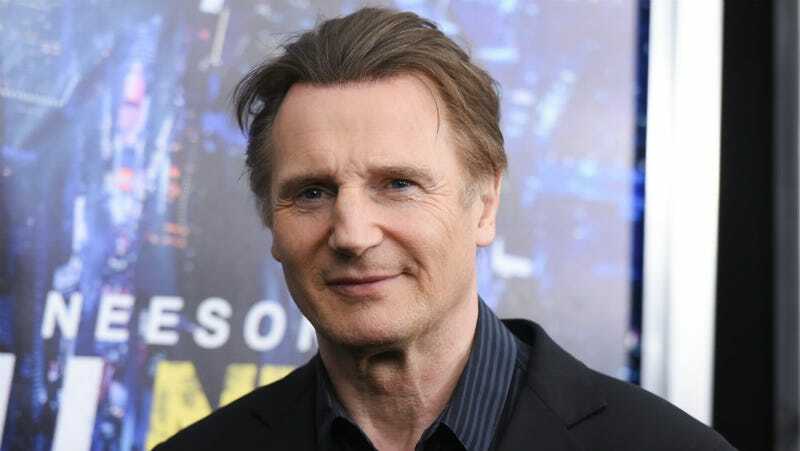 Liam Neeson recently did a voiceover for an ad advocating that the law be repealed, leading to an epidemic of hurt feelings among anti-abortion activists. But Al Jazeera reports that legal abortion has become “increasingly ubiquitous talking point in Ireland,” with prominent actors and artists, the United Nations’ Committee on Economic, Social and Cultural Rights, and Amnesty International calling for the Eighth Amendment’s repeal in the election next year. The National Catholic Register has decided that the ad is bigoted in nature, claiming the “ghost” being referred to is the Catholic Church, because of imagery of the ruins of a church and a cross (or grave marker, it would seem) in the foreground. Neeson hasn’t publicly responded to the criticisms that he’s a mean Catholic Church hater. But given that he was raised in a Roman Catholic family, named after the local priest, and has described acting as “a form of prayer,” that one also seems unlikely.